If you know me you know I am always on the hunt for cute affordable fashion. I am also all about finding pieces that can be worn multiple ways. White jeans are the perfect example. You can dress them up or down. You can never go wrong with the right pair of jeans, but jeans can be pricey!! 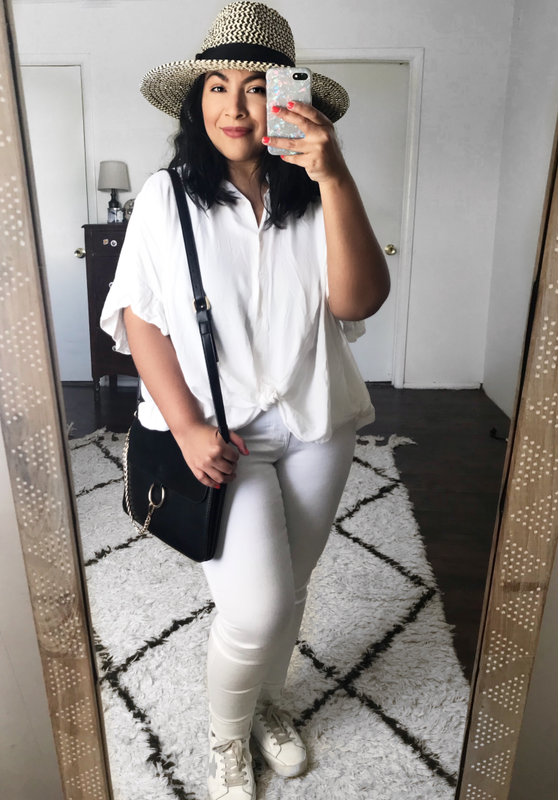 I found the perfect pair of white jeggings that will look great this spring and crazy AFFORDABLE! I was browsing Walmart's new assortment of spring apparel/fashion online and stumbled across these white jeggings. I read reviews and immediately knew I had to purchase. I slipped them on and they fit like a glove! They are so comfortable, so stretchy, high waist and the quality is nice! 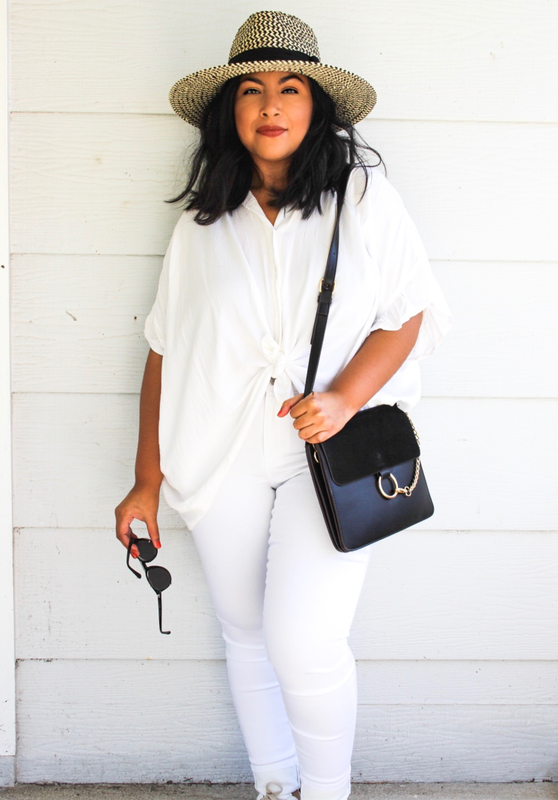 I am sharing just a few ways you can style white bottoms this spring. As well as other really great Walmart finds. I LOVE wearing all white. I feel like it screams spring. I know wearing all white can be scary. Trust me I am the girl that will get something on her white clothes, always, and somehow it happens right when I walk out the door. Honestly, that doesn't stop me. This outfit is my go-to. I can throw on my sneakers add black accessories and call it a day. The whole black + white combo is so chic! 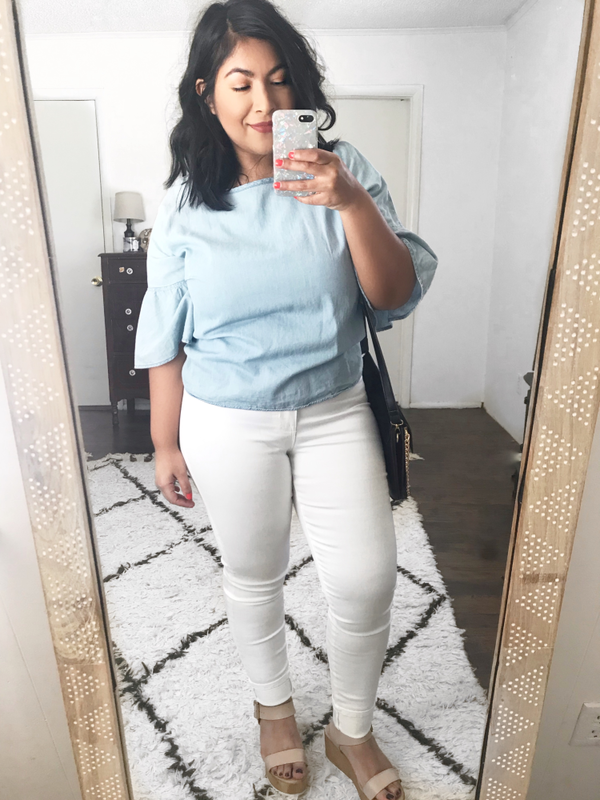 My white jeggings are under $18 and come in different washes!! I like that these jeggings do have back pockets giving them more of a jean look. 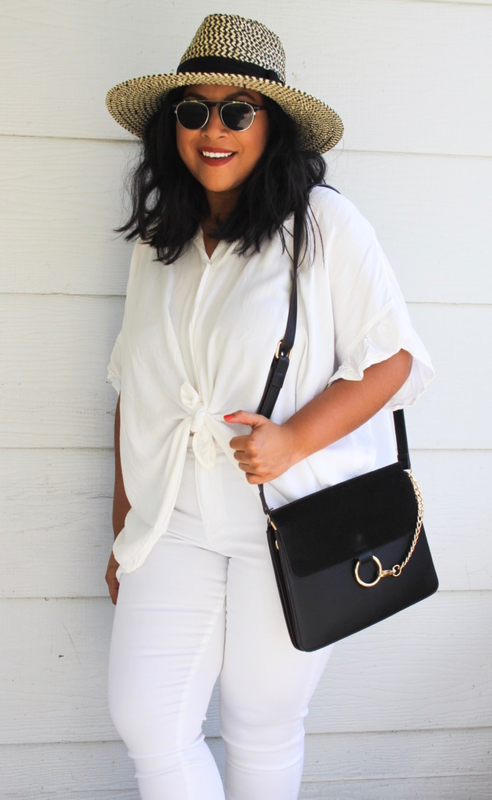 This white shirt is similar to my white top pictured, which I also purchased from Walmart! 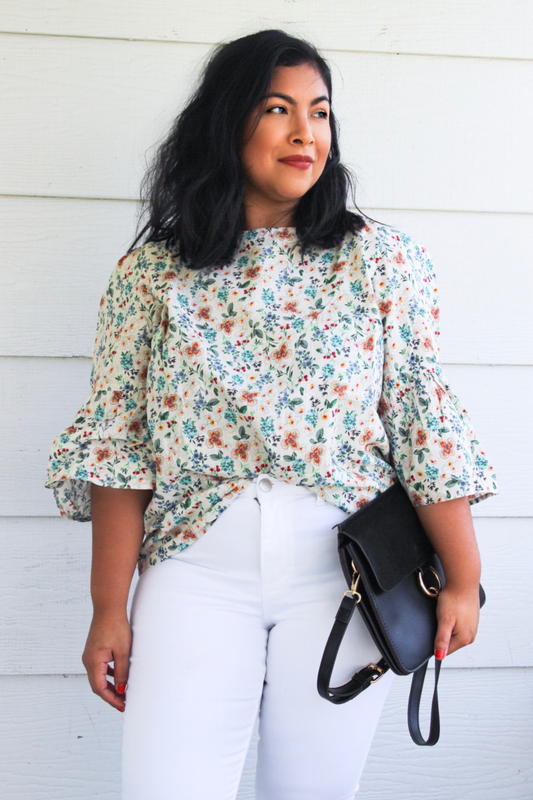 Floral tops look great paired with white jeans. 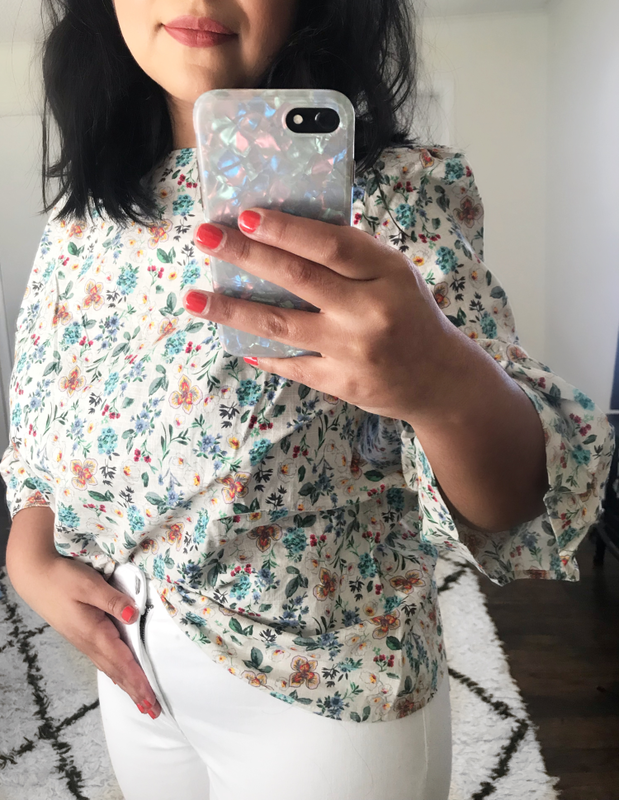 This floral top is perfect for spring! It is also from Walmart and under $12!! I love the balloon sleeves, the simplicity of the design and the relaxed fit. This top comes in so many different colors. I ordered a large. It's a little over sized but I love it because I can tuck it inside my jeans. Just throw on a cute pair of wedges and your favorite purse! Chambray never gets old. It comes back every spring. 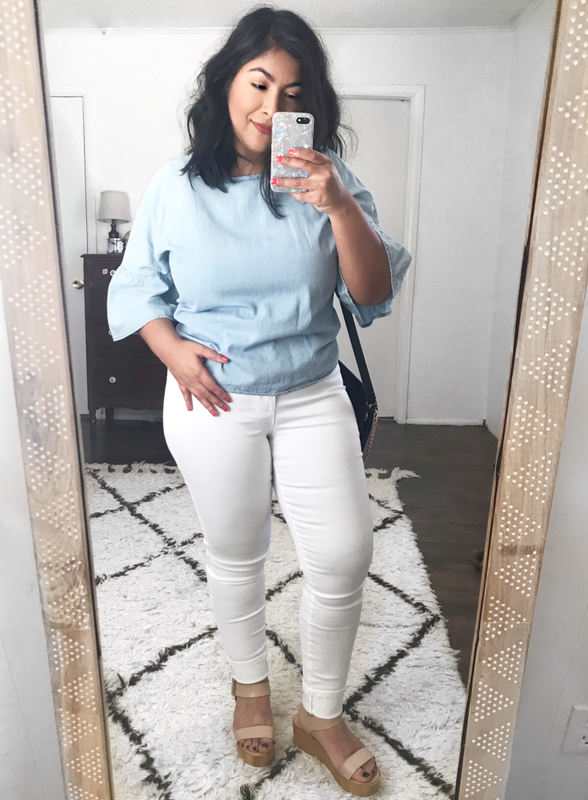 A chambray top with white pants should be a staple in everyone's closet. This top comes in chambray at such a great price. I am loving the items I picked up from Walmart. Walmart makes it easy to look great but at prices we can all feel good about. You can shop online and get FREE 2-day shipping when you spend over $35!! 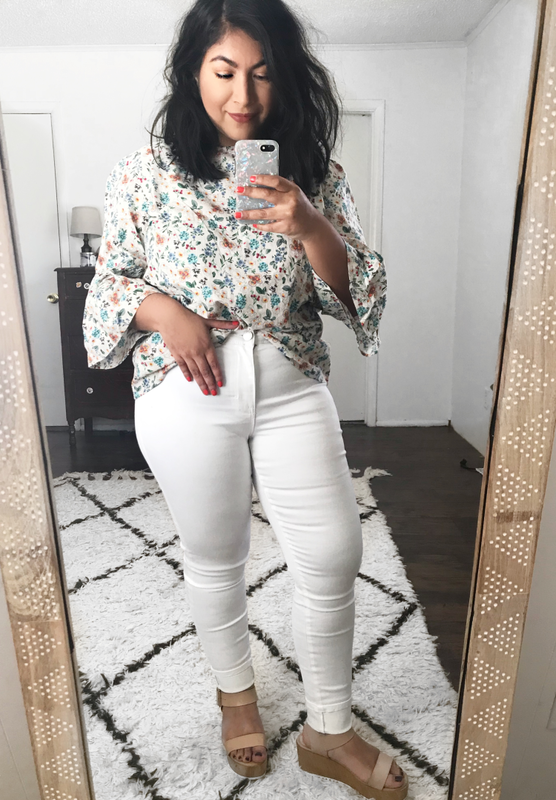 floral top and White jeggings from Walmart!